A visit of Český Krumlov will become a pleasure for both - your children and you. Not only for children there are plenty of new experiences and fun things to do in Český Krumlov! The interactive exhibition presents visitors with the traditional knowledge and skills of medieval monasteries during the Renaissance and Gothic periods. In the alchemist workshop you can mix potions, else you can try out costumes, produce herb oils, paint over templates or try writing with a quill. The smallest ones will have fun in the playroom with replicas of medieval toys. If is a guided tour of castle interiors for your children too long, take advantage of the individual visit of the Castle Tower, where you can enjoy not only a breathtaking view onto the Old Town, but also a look into the castle moat below where bears have been bred for centuries. The South-Bohemian moldavites are a world rarity - the only gemstones created by impact of a meteorite on the Earth. A modern interactive exposition for the whole family, first-class exhibits, lots of attractions from the astronomy and geology. You can discover an unusual adventure and long-forgotten secrets if you take an educational trip into the old graphitemine. Also parents and their children may take this trip, as helmets and mining clothes are provided. Here you will experience a ride in the original old mining train and then walk on paths where graphite used to be excavated. Children, as well as their parents, will most certainly enjoy the presentation of over two hundred valuable puppets, made even more interesting with thematically-arranged units, various historical legends, and a display of a model fun fair and mechanical theatre created in 1815. At the same time you can also try playing with the wooden marionettes. The melancholy of ancient puppets, coulisses in the former Baroque Church of St. Jošt, and current wood-carving jewels from the National Theatre of Marionettes all wait for the eyes of both children and adults to be filled with fairy-tale dreams. Here you can sneak into an ancient pub, take a quick peek into an old alchemist's workshop or admire the skills of medieval craftsmen, in the gripping exposition of wax figures. Here you may meet Peter Vok, Václav Havel, T. G. Masaryk, John Paul II, Michael Jackson and many other famous persons and celebrities. When visiting this museum, you will feel the dark medieval times in your bones, revealing the inhuman methods used by ancient torturers, including examples of thumbscrews, bone-breaking wheels and other torture "equipment". The suggestive experience is further enhanced by waxfigures of executioners and their victims. The exhibition is more suitable for older children. Take home a remembrance of Český Krumlov in the form of a family photo in period costumes. Of course, there is a possibility to join a tour through this unique museum, where it seems as if the time has stopped and the owner of the photo studio has just run away for a while.. This unique mirror labyrinth contains 90 mirrors. It is followed by an unique crystal labyrinth made of clear glass. There are also popular deflected mirrors differently deforming your figure. The 3D Museum of Český Krumlov means an adventure for all ages right in the heart of the historical city centre. Let yourself be brought into the world of illusions and make a memory in the form of a humorous photo for ever. In the Castle Forge you can discover the secret of steel manufacturing, visitors can, under the expert supervision of the master smith themselves, take a hammer in hand and create a handmade product that visitors will, of course, take home. Open July - August. The playground is divided into two sectors: the first one is designed for small children and there are small colored attractions located near the Retro café, and the second one is a larger children's area in the rest of the garden where the elements of the Danish gaming system "Kompan-galaxy" and rope climbing are freely spaced. In a quiet oasis of the park and in the shadow of mighty trees, children will play and parents will relax. A playground with lots of attractions for both younger and older children. In the summer months, the Hornobránský pond offers a pleasant oasis where you can refresh or spread a blanket on the meadow in front of it. Sports enthusiasts can use the adjacent ball court. Refreshment offers a neighbouring Restaurant Na Hrazi. Four game elements and a lot of greenery offer a small playground beneath the northern side of the State Castle of Český Krumlov Castle. Parents and children will surely enjoy refreshment in the pub Depo, which is located in close proximity. A sandpit and a swing with a refreshment at the Café Synagogue in a quiet part of town. Among these things, you can set out for a ride on horseback or a cycling trip, drive scooters or set out for a ride down the Vltava River, either in a raft or wooden raft while your feet stay dry. For fans of hiking, we recommend a trip to Kleť mountain or the castle ruin Dívčí Kámen Castle. Only half an hour by car from Český Krumlov, in Lipno nad Vltavou, the whole family will enjoy a visit the Lipno Treetop Walkway and Forest Kingdom. Thanks to the several kilometer long, safe and quality trail along the Lipno dam lake, you can enjoy in-line skating; in addition, there are other activities on the lake - boats, tourist catamarans, pedal boats, a ride on a steamboat, etc. In winter, a ski school for youngest children is offered in the Skiareál Lipno resort. Programs for children are also included in activities or events organized primarily for adults, for example the Krumlov River Marathon, Five-Petalled Rose Festival, St. Wenceslas Festival , Advent and many others. A brochure called The Renaissance in Krumlov Or Hasten Slowly To the Trumpeter and Bear has just been launched targeting pupils, students and families with children. Children and their parents can learn about the architecture and stories from the Renaissance period in Český Krumlov in a fun form while drawing, completing quests and looking for answers in the streets of Český Krumlov. The brochure comprises of two parts; the first brings participants to the Old Town to teach them about elements of the Renaissance architecture and find out about architectural terms such as parapet, bay window, stone window lining, sgraffito, portal, arch or chambranle. Visitors will also learn about stonemason signs and the period of the last Rosenbergs - William of Rosenberg and Per Vok whose rule is linked with the greatest prosperity of Český Krumlov. Second part of the journey leads to the Latrán town quarter and focuses more on stories, tales and creative quests. 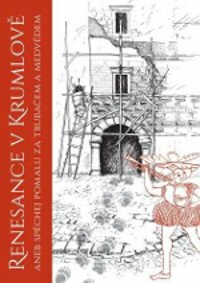 This educational brochure has been produced by the National Heritage Institute in České Budějovice in cooperation with the Český Krumlov Development Fund and financially supported by the Ministry of Culture through the UNESCO Monuments Support programme. It is available in Czech, English and German languages. It is not for sale. 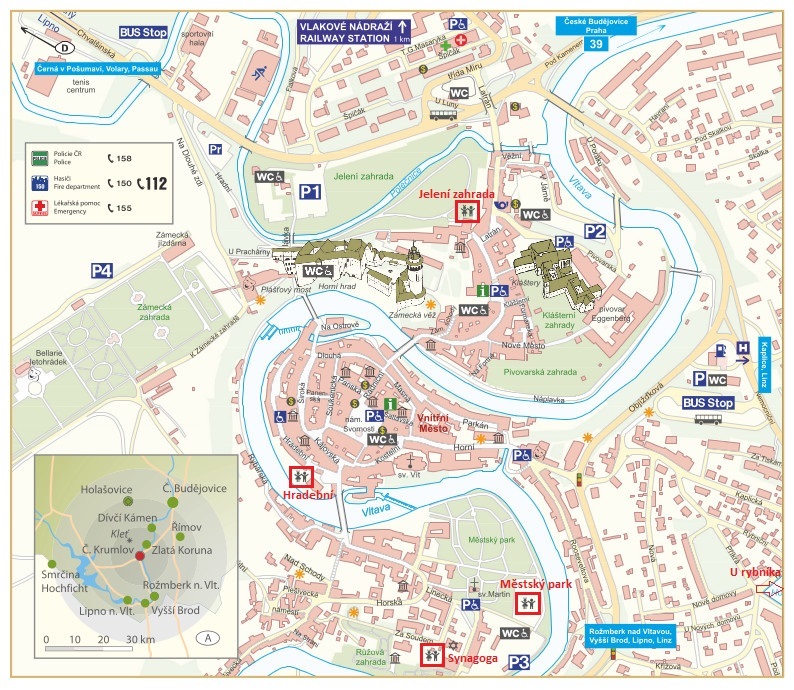 The brochure can be collected free of charge at the Český Krumlov Infocenter.